People throughout the U.S. might soon have the chance to order cheese at their local Chipotle. If the trial run that the burrito maker is testing at its public test kitchen located in New York City is a success, the cheese could soon be available at locations around the U.S. in no more than a month, said Mark Crumpacker the CMO at Chipotle Tuesday during an interview. The first states besides New York to have the chance to try the new cheesy dip could be Colorado and California, said Crumpacker. The words from the CMO appear to support rumors across social media that the cheese will soon me something more than just a test item at the test kitchen of Chipotle, despite that the burrito chain having said for a long time that it would never serve the cheesy dip. The cheese Chipotle is testing is all natural and something the chain of restaurants said was important if it they would be adding it to their menu. However, cheese must have artificial stabilizers so it can remain shiny and in liquid form. Nevertheless, customers continue to insist that the chain offer cheese and with news the chain is now testing its cheesy dip, the appetite to try the new item has reached fever pitch across social media. Perfecting the recipe for the cheese might take some more time for chefs at Chipotle, as the all-natural cheese does not have the same aspects of the cheesy, elastic texture that the other cheesy tips with stabilizers have. However, with a rich, savory, smoky burn flavor, the cheese from Chipotle will make for an excellent addition to their flagship burrito and preferable to the array of shredded cheese that the chain is offering currently as one of its toppings. 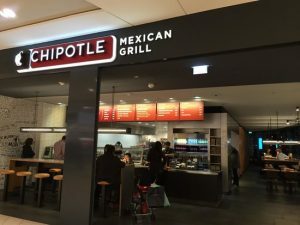 Chipotle has attempted for the last year or more to recover from the problems that were caused by people becoming ill after eating at some of their restaurants. Sales plunged following the problems with foodborne illnesses at the chain and the burrito maker has since tried to win back those who once were very loyal burrito eaters. The addition of the cheese to the Chipotle menu, if in fact it becomes a menu item, should help draw back some eaters who enjoyed the burrito maker’s food and new ones who want to tried the cheese with their burrito.